Ariana Clarice Richards (born September 11, 1979) is an American actress and painter. She is best known for her role as Lex Murphy in the blockbuster film Jurassic Park . 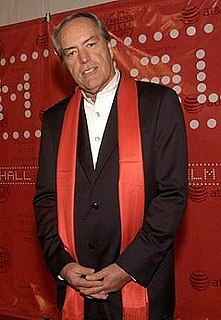 Richards won several Young Artist Awards for her acting, but since adulthood has focused on her art career. Jurassic Park is a 1993 American science fiction adventure film directed by Steven Spielberg and produced by Kathleen Kennedy and Gerald R. Molen. The first installment in the Jurassic Park franchise, it is based on the 1990 novel of the same name by Michael Crichton and a screenplay written by Crichton and David Koepp. The film is set on the fictional island of Isla Nublar, located off Central America's Pacific Coast near Costa Rica. There billionaire philanthropist John Hammond and a small team of genetic scientists have created a wildlife park of de-extinct dinosaurs. When industrial sabotage leads to a catastrophic shutdown of the park's power facilities and security precautions, a small group of visitors, and Hammond's grandchildren, struggle to survive and escape the perilous island. Healdsburg is a city located in Sonoma County, in California's Wine Country. As of the 2010 United States Census, the city had a population of 11,254. Healdsburg is a small tourist-oriented town in northern Sonoma County. Due to its three most important wine-producing regions, Healdsburg has been continuously awarded one of the top 10 small towns in America and is home to three of the top wineries in the United States. Carlo Crivelli was an Italian Renaissance painter of conservative Late Gothic decorative sensibility, who spent his early years in the Veneto, where he absorbed influences from the Vivarini, Squarcione and Mantegna. 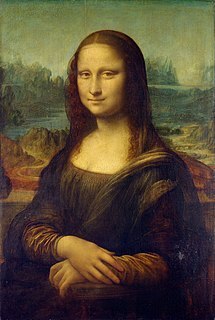 He left the Veneto by 1458 and spent most of the remainder of his career in the March of Ancona, where he developed a distinctive personal style that contrasts with that of his Venetian contemporary Giovanni Bellini. 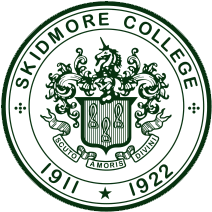 Skidmore College is a private, independent liberal arts college in Saratoga Springs, New York. Approximately 2,650 students are enrolled at Skidmore pursuing a Bachelor of Arts or Bachelor of Science degree in one of more than 60 areas of study. "Brick" is a song by American alternative rock group Ben Folds Five. It was released in November 1997 as a single from their album Whatever and Ever Amen and later on Ben Folds Live. The verses were written by Ben Folds about his high school girlfriend getting an abortion, and the chorus was written by the band's drummer, Darren Jessee. 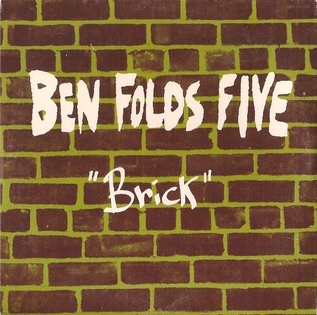 "Brick" was one of Ben Folds Five's biggest hits, gaining much mainstream radio play in the USA, the UK, and Australia in 1998. Ben Folds Five are an American alternative rock trio formed in 1993 in Chapel Hill, North Carolina. The group's members are Ben Folds, Robert Sledge, and Darren Jessee. The group achieved mainstream success in the alternative, indie and pop music scenes. Their single "Brick" from the 1997 album Whatever and Ever Amen gained airplay on many mainstream radio stations. During their first seven years together, the band released three proper studio records, one retrospective album of B-sides and outtakes, and eight singles. They also contributed to a number of soundtracks and compilations. Ben Folds Five disbanded in October 2000. They reunited in 2011, and released their fourth album The Sound of the Life of the Mind in 2012. 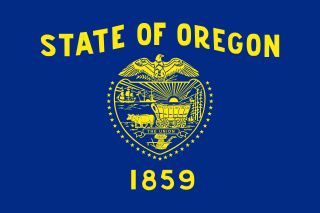 As of 2013 Richards lived in Salem, Oregon,  and was apprenticing under a professional painter. Mahima Chaudhry is an Indian actress and a former model who appears in Bollywood films. After winning the Miss India in 1990, Chaudhry did a few modelling assignments and appeared in several television commercials before venturing into films. She has won a Filmfare Award among other accolades. Moon Geun-young is a South Korean actress. Affectionately called the "Nation's Little Sister," Moon began modeling at the age of 10, then made her acting debut in 1999 as a child actress. She first rose to stardom through her role as the young Eun-suh in the hugely popular television drama series Autumn in My Heart (2000), followed by a well-received turn in Kim Jee-woon's critically acclaimed horror film A Tale of Two Sisters (2003). Moon solidified her star status by headlining the box-office hits My Little Bride (2004) and Innocent Steps (2005). At age 21, she became the youngest recipient of a Grand Prize ("Daesang") which she won at SBS Drama Awards for the television series Painter of the Wind (2008). Jagoda Kaloper was a Croatian painter and actress known for groundbreaking roles in classic films in the former Yugoslav cinema. Nora Aunor is a Filipino actress, recording artist, and film producer. Aunor has also appeared in several stage plays, television shows, and concerts. She is known as Philippine cinema's "Superstar" and is regarded as the People's National Artist. The Hollywood Reporter called her "The Grand Dame of Philippine Cinema" for her performance in the movie Taklub. Im Soo-jung is a South Korean actress. After modeling for teen magazines, Im made her acting breakthrough in Kim Jee-woon's horror film A Tale of Two Sisters (2003), followed by the popular television drama I'm Sorry, I Love You (2004). She has since appeared in numerous films, notably Park Chan-wook's I'm a Cyborg, But That's OK (2006), Hur Jin-ho's Happiness (2007), Lee Yoon-ki's Come Rain, Come Shine (2011), and Min Kyu-dong's All About My Wife, for which she won Best Actress at the 33rd Blue Dragon Film Awards. Dakota Blue Richards is an English actress. Her debut was in the film The Golden Compass, as the lead character Lyra Belacqua. 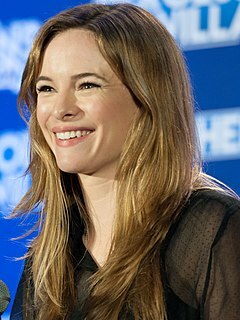 She was cast as the lead of two other films: Dustbin Baby, as wayward teenager April, and The Secret of Moonacre, as Maria, the latter of which was released February 2009. She also played the character Franky Fitzgerald in the third generation of the E4 teen drama Skins. Jennette McCurdy is an American actress and singer. She is known for playing Sam Puckett on the Nickelodeon sitcom iCarly and its spin-off series Sam & Cat. McCurdy has also appeared in a number of television series, including Victorious, Zoey 101, True Jackson VP, Malcolm in the Middle, and Lincoln Heights, and has also produced, written, and starred in her own online series titled What's Next for Sarah? From May 2015 to August 2016, she starred in the Netflix/Citytv drama series Between as Wiley Day. Portrait of a Beauty is a 2008 South Korean film directed by Jeon Yun-su. Adapted from the bestselling novel Painter of the Wind by Lee Jung-myung, the film portrays Joseon-era painter Shin Yun-bok as being a woman disguised as a man. Kim Min-hee is a South Korean actress and model. Lakshmi Menon is an Indian film actress and singer, who mainly appears in Tamil films along with Malayalam films After making her acting debut in a supporting role in the Malayalam film Raghuvinte Swantham Raziya (2011), she played the female lead in her debut Tamil film Sundarapandian in 2012. Sundarapandian, as well as her next three Tamil releases, were commercial successes and she was labelled as "the fastest rising star in Tamil cinema" by Sify.She received Tamil Nadu State Film Award for Best Actress for her roles in Sundarapandian and Kumki. Parul Yadav is an Indian film actress and producer, who has appeared in South Indian films, primarily in Kannada along with a few Malayalam and Tamil films.She made her acting debut with Tamil film Dreams, starring Dhanush and Diya. With the four upcoming south remakes of the Bollywood film "Queen", Parul is debuting as the Co-Producer for all the four films and also has acted in the Kannada Version 'Butterfly'. ↑ Profile, FilmReference.com; accessed December 27, 2015. ↑ "Book of Memories". Bollmanfuneralhome.com. Retrieved 2014-08-09. ↑ "Ariana Richards descendant of Carlo Crivelli Itialian Renaissance artist". Galleryariana.com. Retrieved 2014-08-09. 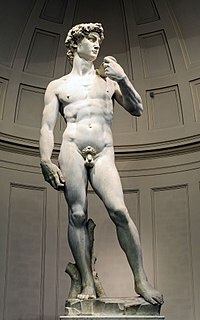 ↑ "Biography – A Brief Introduction". ariana.org. Archived from the original on July 25, 2010. Retrieved August 30, 2010. ↑ Paul Chi. "Jurassic Park's Joseph Mazzello and Ariana Richards Today". PEOPLE.com. Retrieved June 14, 2015. ↑ "Werewolf movie uses Buffalo as stand-in for New York City". The Buffalo News. Retrieved 2014-08-09. ↑ "VH1′s 100 Greatest Kid Stars Of All Time" . Retrieved February 21, 2014. ↑ Jurassic Park Star All Grown Up Archived October 18, 2012, at the Wayback Machine on The Yo Show. Accessed October 19, 2012. ↑ Click, Carl (April 5, 2013). "'Jurassic Park:' 20 years later: Where actress Ariana Richards is today". KATU News. Archived from the original on April 9, 2013. Retrieved April 6, 2013.